M’Bour or Mbour is a city in the Thiès Region of Senegal. It lies on the Petite Côte, approximately eighty kilometers south of Dakar. It is home to a population of nearly 641, 068,000(2017 census). The city’s major industries are tourism, fishing and peanut processing. M’Bour is the most important place of tourism in Senegal because of its situation on the “Little Coast” and its easy connection to Dakar via the N1 road. M’bour is the second port of Senegal, after Dakar. It exports mainly to neighboring countries and the European Union. It is also an important tourist center, appreciated for its beaches of fine sand and the possibility of fishing with the big one, as for the Experimental Ecological Reserve of M’bour, a protected site since 1987. Two versions dispute the origin of the name of the city. The first evokes the serene expression “A Mbouara Adett” which literally means “They left and they left”. The second attribute the foundation of the village of Mbour to a certain Mbour Faye who would have given his name. Subsequently, the settlers arrived in large numbers to settle along the coast and made Nianing their stronghold. Later, sleeping sickness forced them to move to Mbour to transfer the residence of the commander of the subdivision; The population gradually joined them. Initially the SERERES,followed by the SOCES were the first occupants of the city. Today, the city has become cosmopolitan with the arrival of other of various ethnic groups including Wolof, Fulani and others. Foreigners has also settled here from many different countries. The erection of Mbour in town gave a boost to its growth. The Mixed Commune of Mbour was created on 4 December 1926 and Order No. GB152 of 12 January 1927 of the Governor-General of the Colonies, who appointed the first members of the Municipal Commission, all of whom were French citizens. By the 1930s, the new commune of Mbour was composed of two villages: the whites on one side and the natives on the other. It was thereafter, with the progressive settlement that the districts were formed with chiefs at their heads. Visit Mbour, sumptuous palaces, magnificent historical buildings, splendid cathedrals and museums. Travel through time and maximize your Mbour appreciation for its culture and traditions by joining our Culture and History Tours. 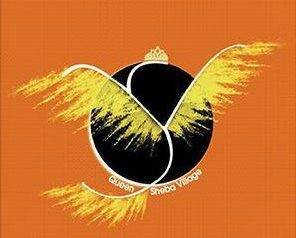 In time by the grace of Almighty GOD futurely noteworthy for the NGO/Nonprofit education organization Queen Sheba Village for Women & Girls.